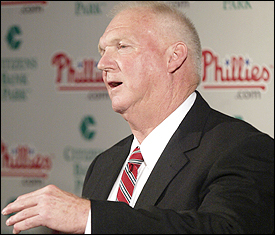 Charlie Manuel Quote of the Day -- Video Special!!! Charlie Manuel Quote of the Day: Well, the Phillies are 1-6 to start the season. And are on the brink of their worst start since the Felske-era. But Uncle Cholly is still positive.